One element of Chinese cookery that remains rare throughout the Western world is the most popular style of cuisine across China: street food! Every day, nearly one-fifth of humanity sustains itself on conveniently placed bites and cheap alfresco meals. In China, one's home is often small, kitchens are cramped, and time is short. So, a walkable nosh on the way to the office, a quick, cheap lunch, or an evening spent hopping from snack stand to snack stand with friends is an everyday occurrence. Howie Southworth and Greg Matza, best friends and bestselling food authors, have been eating their way through China for over two decades. Soon after their yearly culinary journeys began, they were struck with a delicious addiction: street food! 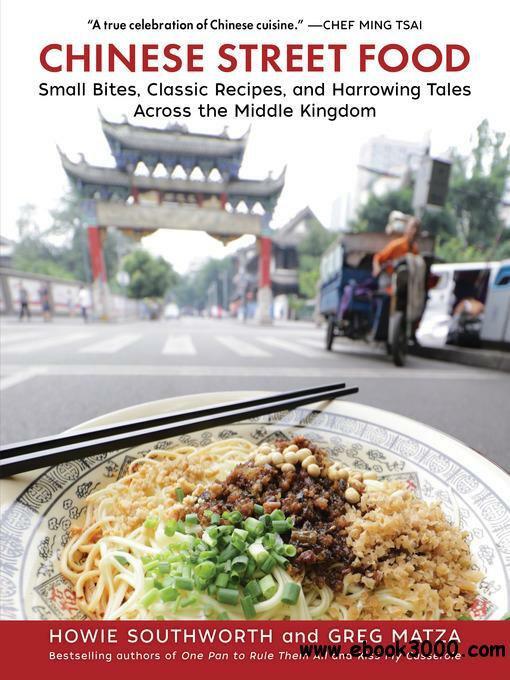 Within this entertainingly narrated cookbook, our dynamic eating duo not only fondly recalls highlights of their fascination with China's incredible food culture, but they artfully weave in folklore, origin stories, and witty chats with the cooks, vendors, and fellow gastronomes they've met along the way.